Okay so I wanted to make a little space for me to get ready everyday. Yes I have a counter in my bathroom, but I share it with my husband and he cant understand why I don't put away everything after I'm done using it. Well I'm not going to do it. Its pointless in my mind. I know that I will need everything the next day or even later in the day so why put it all away. 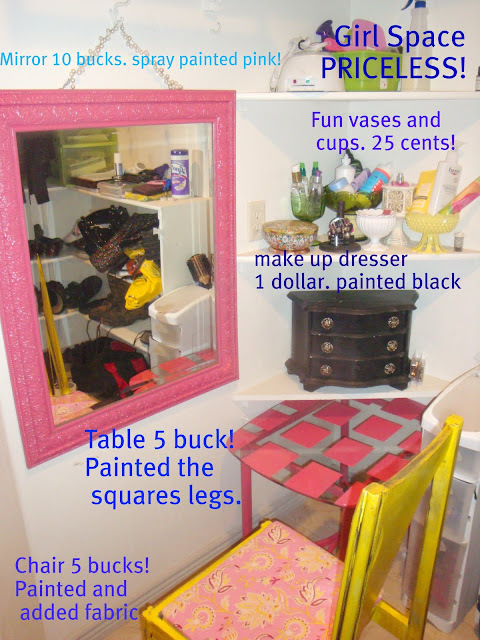 So I hijacked this little space in my closet! I love it! I just wish I had the whole closet for all my things! (Maybe someday!) But for know it will be great! And I don't have to worry about being a mess because nobody goes in my closet! Awesome! Love all your fun, bright colors!